If you are looking for the best way to prepare fried turkey, fried fish, sea food, or other fried foods, you have found it, it's the BackYard Classic 36 Quart Turkey Fryer. The Back Yard Classic is the perfect outdoor fryer and features a 36 quart aluminum pot with lid, a heavy duty welded fryer stand with safety timer, a strainer basket for frying or boiling, turkey stand and lifter, 15" thermometer, and a 5 PISA valve hose regulator. 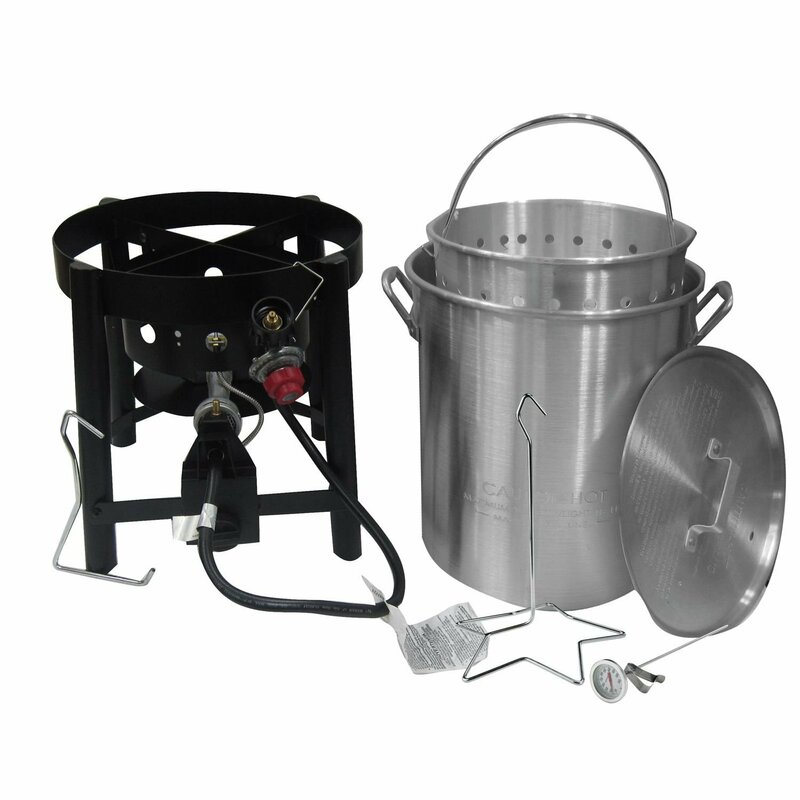 It is the ideal turkey fryer and is also perfect for boiling and steaming seafood such as craw fish and lobsters. Product dimensions: 18.9" x 18.9" x 31.1" Height. During the holiday season the BackYard Classic is always very popular and they will sell out. We have limited quantities available so order yours today for same day shipping! You can order online or call us at 855-422-6656 (855-4-CANOLOGY).